Green Silky Scale (Anthaenantia villosa) is a southeastern coastal plain endemic grass species, ranging from eastern Texas to Florida and northward into NC. 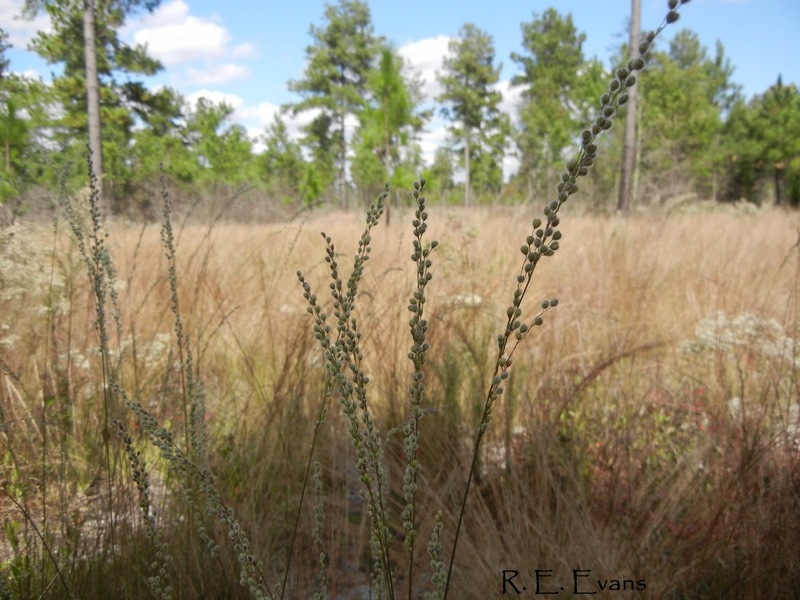 In our area I have observed it only in recently burned longleaf-wiregrass habitats in the inner coastal plain and sandhills regions. Within these generally dry, deep sandy soil sites, the grass occurs in gentle depressions (sometimes called "bean dips") or gentle, almost imperceptibly subtle slopes which are slightly moister than the surrounding uplands. 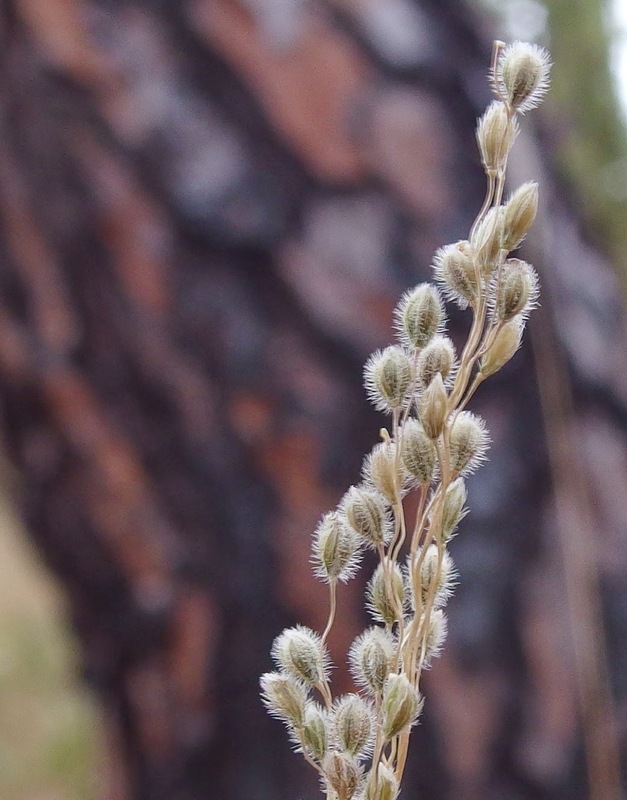 It occurs in dense swards of grasses where it can be easily overlooked unless flowering. 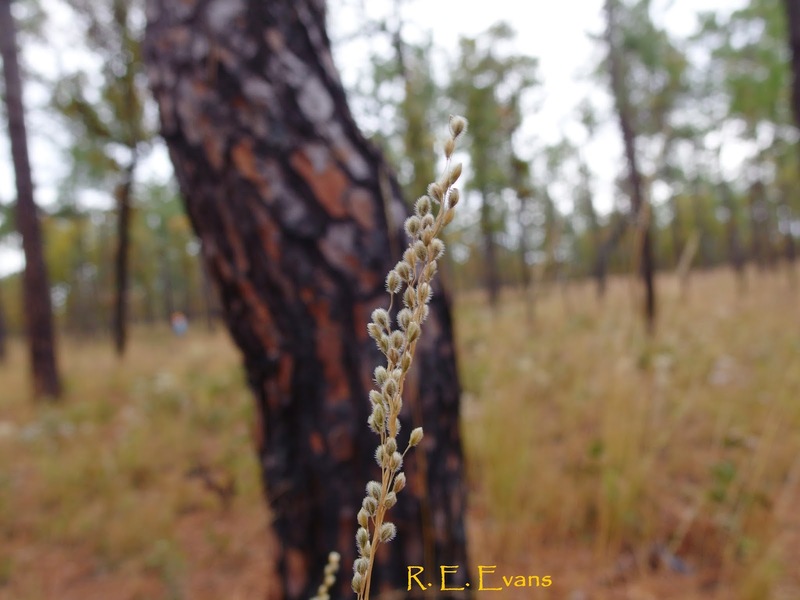 Like a number of other species in these habitats, it may only flower (or at least most profusely) the growing season immediately after burning and may increase as a result. Kush et al. 2000 (in Alabama longleaf pine) documented much greater frequency for this species in biennially burned stands as compared to unburned stands with the greatest frequencies in summer and winter burn units. Silky scale develops small rhizomatously spreading clumps which appear to expand slowly. Basal leaves are narrow, smooth, and tapering to a narrow tip. According to Grelen & Duvall (1966) leaves are nutritious and palatable forage. Inflorescences form tight, narrow panicles on upright stems (maybe 3.5' tall) late in the growing season. Individual spikelets are densely pubescent and tightly packed along the upper 8 or so inches of the stem (See image right).